The medieval city of ASSISI located in the centre of the verdant region of Umbria, the heart of Italy. It is just 20 km /12 miles from Perugia. Both Florence and Rome are within easy reach by car or train. The local airport of Sant’Egidio (13 km / 8 miles from Assisi) also offers connections with Malpensa International Airport in Milan. The city of Assisi, in a panoramic position overlooking the enchanting Umbrian valley, is one of the world’s most important religious and mystical centres. Here, the time-honoured memory of St. Francis imparts a unique aura to the landscape and makes it a rare elect place of spirituality. As a result, this Umbrian town is a favourite destination for tourists from every continent. They come here to experience Assisi’s unique silence and peaceful atmosphere. And they also come to admire priceless works of art, ranging from the Roman period (the Forum, the Temple of Minerva, the remains of the Amphitheatre and a domus romana, the house of the poet Propertius) to the Middle Ages, with the Basilica of St. Francis and frescoes by leading thirteenth-century masters – Giotto, Cimabue, Lorenzetti and Simone Martini – whose work marks one of the greatest tributes to Italian painting of all time. The beauty of the city and its superb artwork can be found in every corner and alley, and in its arches and little squares, the broad square of Piazza del Comune, the Cathedral of San Rufino and the fortress that dominates the city from on high. The entire layout of the town, encircled by ancient mediaeval walls, makes Assisi one of Italy’s most charming and authentic old cities, and it conveys a sense of spiritual serenity and peace. St. Francis’ beloved Mount Subasio, where he often went to pray, stands solitary and majestic on the eastern side of the Umbrian Valley. Rising to a height of 1290 m / 3900′, it dominates the sweeping landscape of hills and valleys. This rich and lovely natural setting can be visited on horseback, by bike, on foot or by car (though the trip is not nearly as fascinating!). Be sure to visit the Hermitage, the place cherished by Francis because of the tranquillity that is still reigns there today. 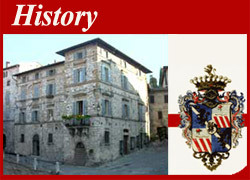 Assisi is known for its religious events and historical commemorations. For example, there is the procession of Christ Crucified on Good Friday, the Feast of St. Francis on 3-4 October, and Christmas celebrations. And there is the Calendimaggio festival, when Assisi goes back in time and the local people dress in mediaeval costumes to welcome the return of springtime. The Tourist Information Office is in Piazza del Comune, and there is also a travel agency on Corso Mazzini, just a short distance from City Hall. The Tourist Office can provide complete information about guided tours of the city organized by the Tourism Board. Tel. +39 075 812-534 or +39 075 812-450. Holy Week. 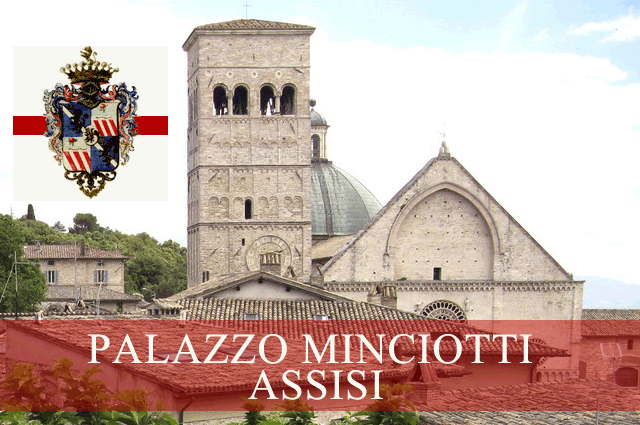 Pascal liturgy and various paraliturgical rites such as the Holy Friday procession of Christ Crucified, which goes through the city from Piazza San Rufino to the Basilica of St. Francis and back. Maggiolate. These are epicurean itineraries through the city’s private gardens. The dates are announced year by year, and these events are always held in May. Courses in ancient music are held in the centre of town in July. Dates vary. Cavalcata di Satriano, September (first Sunday). Commemoration of St. Francis’ last journey to Assisi. The feast of St. Francis. Every year on 3-4 October, the saint’s feast day is celebrated with solemn liturgies at the basilicas of Santa Maria degli Angeli and St. Francis. Other artistic and folklore events take place. Antiques Fair. It is held in the nearby city of Bastia Umbra (8 km / 5 miles from Assisi), generally between 25 April and 1 May. It is a prestigious exhibition of antique furniture, paintings and silver, and it attracts visitors from across Europe. There are train connections to Florence and Rome, and there is also a bus service that departs in the morning and returns in the evening. Perugia is just 20 km / 12 miles away and can be reached by train or bus.